On the 2nd of September 2013 I attended the RAY MANCINI academy in Joondalup, Western Australia. I attended the Academy to undertake Firearms Instructor Training and Range Officer certification. I have been a firearms instructor for the Tasmanian Prison Service Tactical Response Group for a number of years and required re-certification to comply with changes within our organisation. On arrival at the RAY MANCINI Academy I was impressed with the lay out and presentation of the facility. The main training area is well laid out and encourages a relaxed atmosphere in the class room. There was a high level of sophistication and technologies that made the process very easy. The area used for scenario training and instruction was suitable for the purpose and well laid out – with well-prepared work spaces designed specifically for the types of training offered. The live fire range utilised was functional and easily accessed and would provide for many different types of live fire training. For the specific training we conducted it was perfect. From the moment the training started it was well organised with all the appropriate materials provided or easily accessed. Individual participants were issued comprehensive course materials that outlined the schedule of the training and the process to be used to successfully complete the training. The training provided proved to be functional and based on reality, the progression through the theoretical aspects was fluid and correctly ordered which made meeting the learning out comes easily achievable. This system was carried through into the operational aspects of the training. Ray Mancini was the chief instructor for the course and delivered all of the training in a succinct and professional manner – he possesses great subject matter knowledge and relevant industry experience. Ray was approachable and easy to talk to, he had no issues with knowledge sharing in fact he actively encouraged it from all participants on the course. Ray created an atmosphere in the classroom and on the range that was relaxed but professional. The staff at RAY MANCINI Academy are all friendly and willing to assist with any query they support the learning process in a courteous and professional manner. Because of the knowledge imparted during the training a number changes and upgrades have already been introduced to the systems currently in use within the TRG. This will ensure that we are up to date with contemporary industry practice in firearm systems management. I would like to thank Ray Mancini and the staff at RAY MANCINI Academy for the experience provided during the course and look forward to conducting more training with RAY MANCINI academy on the Future. Having worked with the RAY MANCINI team last year as part of our office relocation, I have nothing but praise for their willingness to be flexible and “can do attitude”, I have found Ray Mancini and the RAY MANCINI team to be consummate professionals, who were able to meet and exceed my expectations. Based on a number of checks concerning the company I was able to secure confirmation to conduct vetting on members of the RAY MANCINI team to a British “restricted” clearance level, allowing them to manage a number of sensitive assets on behalf of the FCO (Foreign and Commonwealth Office), being the first time this has been allowed to happen globally. I commend Ray and his team, and would recommend them for any contract that their expertise cover, and look forward to working with them in the future. Sun City Security was founded as a small security company in regional Western Australia in 2006 on the back of some small local security contracts. In 2015 we opened our Pilbara cash in transit base, connecting Perth with our State's north with secure cash in transit services. We proudly work alongside the largest cash logistics companies in the world and with many of the world's largest companies in other security fields across Western Australia. Being able to work alongside multinational security companies, requires highly skilled professional staff and to achieve this we needed highly skilled professional trainers. Ray Mancini CEO of Ray Mancini Group, has been that trainer. Ray Mancini has been personally training our staff for three years and during that time we have relied on Ray Mancini and Ray Mancini Group to guide our staff's development directly. The professionalism, knowledge, skills and service delivered by Ray Mancini over the past three years has been outstanding and second to none. The security industry is ever changing and we are constantly being reminded of the increased security risks faced by our staff and the clients we protect. I can think of no better way to ensure the safety of our staff and clients than to invest in training our staff and making sure they have been kept abreast of the latest security industry trends and defensive techniques. This is why I trust Ray Mancini and the Ray Mancini Group to deliver our security and firearms training. It can be difficult at times ascertaining which particular company to train with given the selection. I contacted several security training companies including RAY MANCINI Academy. Given my background in law enforcement I knew within minutes from talking with Ray that RAY MANCINI was where I wanted to do my course and firearms certification. Ray was extremely accommodating to my situation and facilitated me through the course without delay. Such service is rare these days. Ray’s impressive background speaks for itself; he is a wealth of knowledge. All the staff are friendly and helpful and the training facility is a comfortable well equipped adult learning environment. I would have no hesitation returning for further qualifications and recertification’s in the future. For those of you who are undecided I suggest an email or call to Ray will make the decision an easy choice. Thanks to Matt also for his assistance throughout the course. Keep up the good service and high standards guys. What is the reason for taken up private firearms training with the RAY MANCINI ACADEMY? I don’t believe I was learning the finer details about pistol shooting at my current club. What did you think of the RAY MANCINI ACADEMY training facility? Was the knowledge and instructions helpful? Would you recommend the RAY MANCINI ACADEMY to anyone who's looking improve his or her firearms skills? 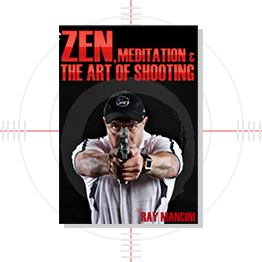 Ray is an excellent instructor who knows that teaching involves more than just telling someone the right way to shoot - he explains why it’s the right way. I’ll definitely be back. Completing the Tactical Pistol I Course with Ray Mancini of RAY MANCINI ACADEMY Perth was, by far, the most interesting and enjoyable course I have ever attended. The staff are courteous, professional, approachable and very experienced. The direction provided by Ray on the range was clear and concise and accompanied by simple demonstrations. At no time was I subjected to long-winded “war stories”, overly complicated explanations or emotional rants. Ray’s training was done in a progressive manner and while safety was the priority at all times, it did not impinge on the efficiency or realism of the training. The emphasis was hands-on drills, each with direct application to real world scenarios. The training priority on each day was providing as much shooting time for the student as possible. Activities were conducted in a relaxed, although not lax, environment. After over 18 years of attending military and government courses of varying types, this course was a breath of fresh air in terms of simplicity, good humour and imagination. The information and the drills were no-nonsense and realistic. Quite apart from the training, the hospitality shown by Ray was outstanding. I thoroughly recommend the RAY MANCINI ACADEMY Perth for anyone who carries a handgun as part of their profession. I learned more about pistol shooting in three days with SIG, than in almost two decades of military service and had a great deal of fun doing it. I’m still not sure which feeling was more exhilarating, the one where I was holding a gun (Glock 40) for the very first time in my life, or the absolute excitement and elation I had after firing it. It was amazing Ray Mancini from RAY MANCINI ACADEMY ran me through all the safety rules, do’s and highlighted the don’ts. I loved the seriousness and professionalism that was being directed, it was very clear that this gun was not a toy. I am 39, single mother of 3 and at this point in my life I seriously didn’t think it could get any better. It was an amazing, fulfilling and empowering experience. Who would have ever imagined that after 20 minutes of listening and learning that I would be walking and shooting with a Glock 40. For some reason I picked it up really easy. Wow this was easier than cooking dinner. Every time the gun was fired it was on the command of Ray and safety was of the highest level at all times. Let me tell you this is definitely something I would recommend people to do in their life, it opens up a whole new level of confidence within yourself. One day I will also take my children, I would like my children to be involved in the shooting sports and maybe seek a career in policing one day. I have the fullest confidence in Ray to train my children in gun safety and shooting a weapon, I know my children will walk away from that experience with a whole different outlook on guns and a new appreciation of their value. I cannot thank you enough Ray, your knowledge is priceless and your attention to detail a pleasure to watch and experience first hand. I just hope I can get back over to Perth for some more training…. Look out….and thank you again.